Groups formed and reformed in Los Angeles with precious little thought given to anything past today's session. Second tenor Sheridan 'Rip' Spencer, his cousin, Brice Coefield, on baritone, and lead tenor Billy Spicer (also known as Billy Jones; born June 29, 1938 in Dayton, Ohio) came together with bass Walter Carter as The Sabres, who cut Always, Forever for Hite Morgan's Cal-West logo in 1955. Blues piano great Lloyd Glenn took an interest in the teenaged group (Brice's dad was his mailman), recommending them to Robert 'Bumps' Blackwell, who in 1956 was in the midst of producing Little Richard's string of smashes for Specialty Records. Bumps did some moonlighting with the group, cutting Valley Of Love and Red Tape at Ted Brinson's garage studio and issuing the results as by The Chavelles on Larry Mead and Mike Gradney's Vita Records. Carter left shortly thereafter; he was replaced by tenor Chester Pipkin of another Vita outfit, The Squires. Drummer Earl Palmer supervised a 1957 single by Rip, Brice, and Chester for Aladdin; their My Unfaithful Love came out as by The Gents without Jones' involvement. As a result of a blowup between Bumps and Specialty owner Art Rupe over Sam Cooke's You Send Me (Rupe hated it), Blackwell angrily exited Specialty and landed at a brand-new L.A. label, John Siamas' Keen Records, which reaped the vast rewards of You Send Me. Bumps brought his pet group along, this time calling them The Valiants (inspired by Prince Valiant in the comics). Blackwell had produced Little Richard's volcanic Good Golly, Miss Molly in New Orleans but Rupe was sitting on it, so he produced the rocker on The Valiants, cranking up the tempo to an even more fevered pitch (Billy's voice sounds cashed). 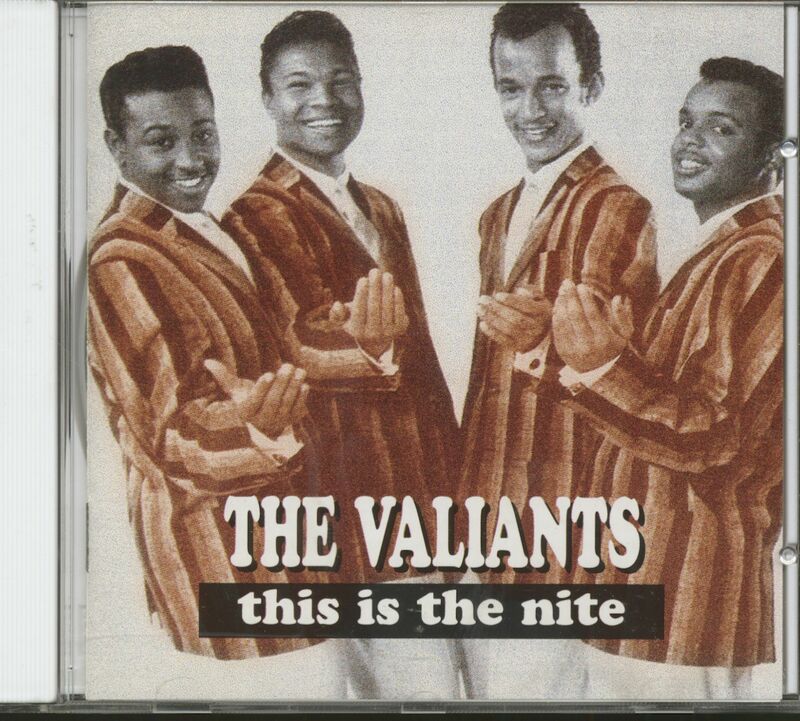 But it was the ballad side of The Valiants' first Keen single, This Is The Nite, that got the action. 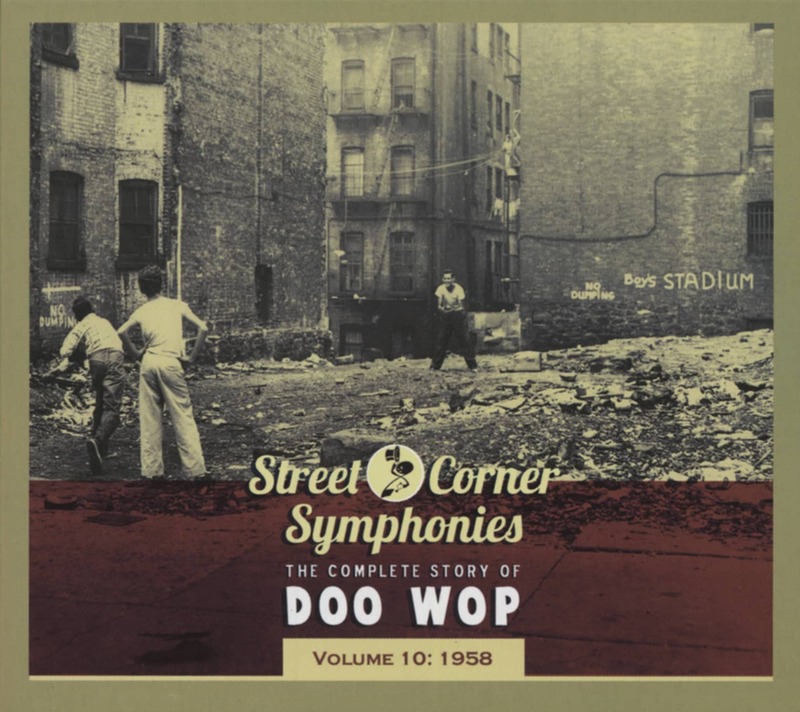 Written by all four members of the group and featuring Jones' sky-high tenor, it came out in late '57 and made a #69 pop appearance during the first weeks of '58. 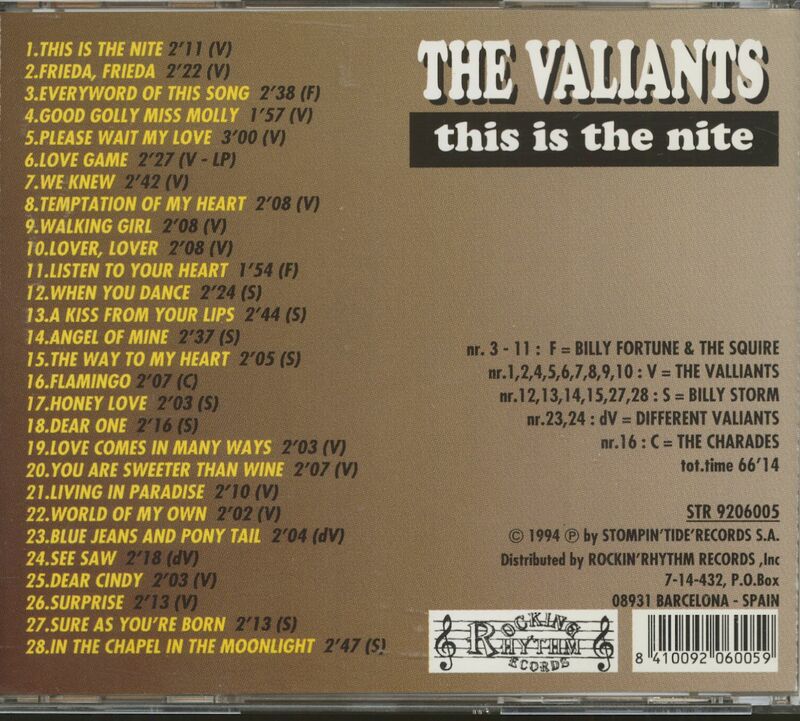 Customer evaluation for "This Is The Nite (CD)"